Make some bunting out of knitted squares and ribbon. 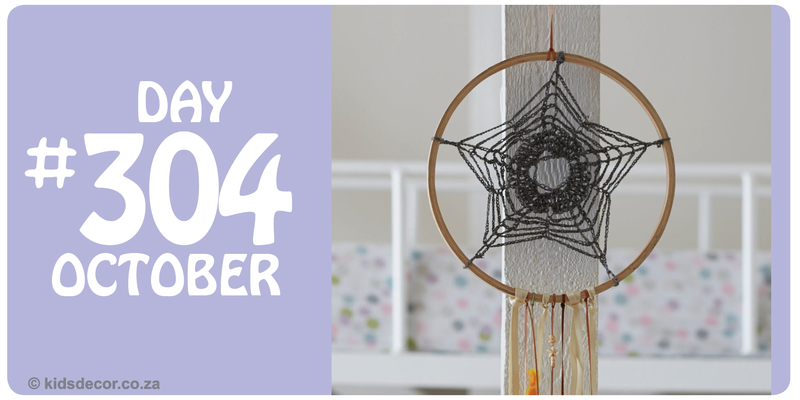 This is a great first project for kids who are learning to knit. 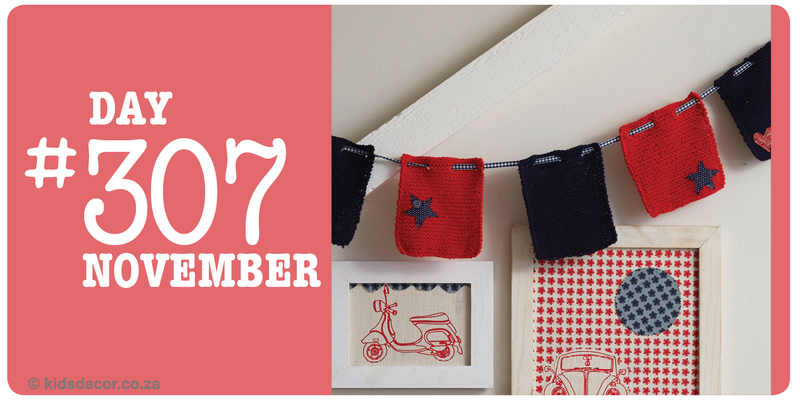 Make small squares for a quicker project, it is a lovely activity of children help make this decor idea. 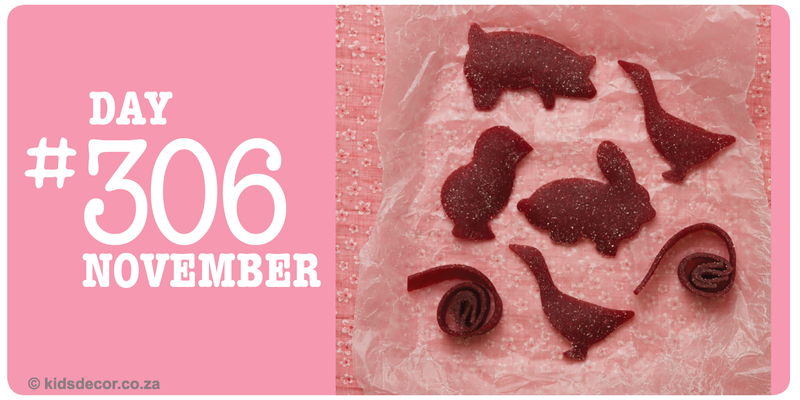 Give the boring sticky healthy fruit roll snack an imaginative twist by making animal shapes with cookie cutters. Make a farmyard picture scene, with some fences and and hills. Let your children get involved and make their own animals. 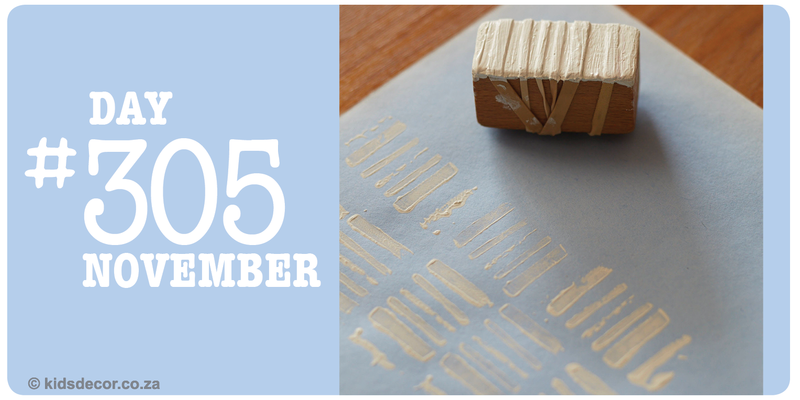 Use a block of wood or cardboard box to wrap elastic bands around, and use this as a little stamp to make interesting patterns and a wallpaper effect. Perfect for little hands, and for older children who like making graphics and more structured patterns. #303 Fruity Fun. Fresh fruity bananas are a great energising snack between meals, and can also be a fun tea time sweet snack too. 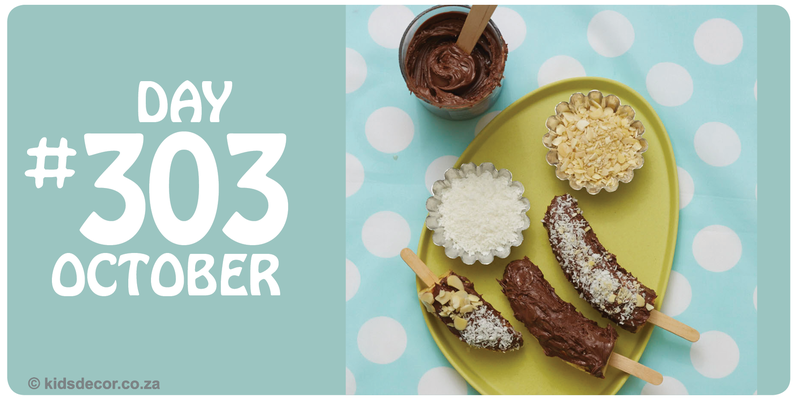 Make these chocolate banana sticks, and coat them with coconut or chopped almonds, or use honey to make the nuts stick. Kids love dipping into sweet treats. 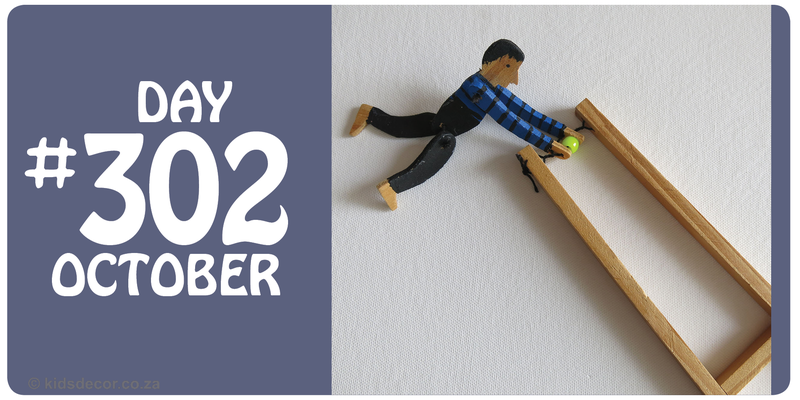 Be on the lookout for one of these traditional trapeze wooden swinging acrobatic toys. They are so much fun, they exercise coordination skills while being played with. 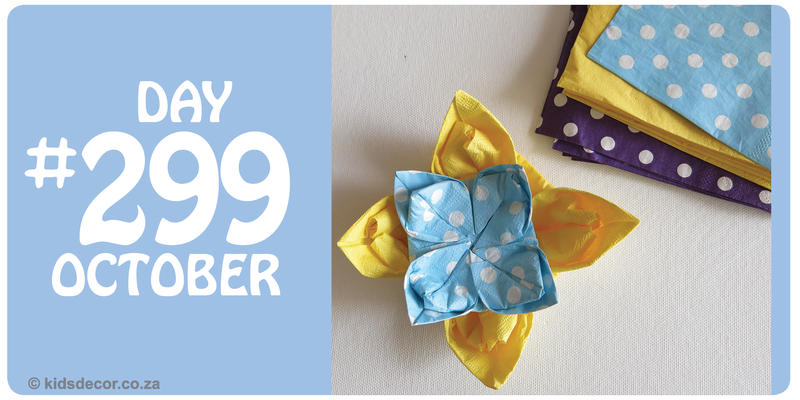 Research how to make your own, this is a great little project to do with your kids. Play Snap with these cookie holders and fabric balls. Arrange the cups upside down on a tray, and take turns guessing and remembering how many balls are under each cup. This is simply a version of the traditional ‘Snap’ game played with cards. 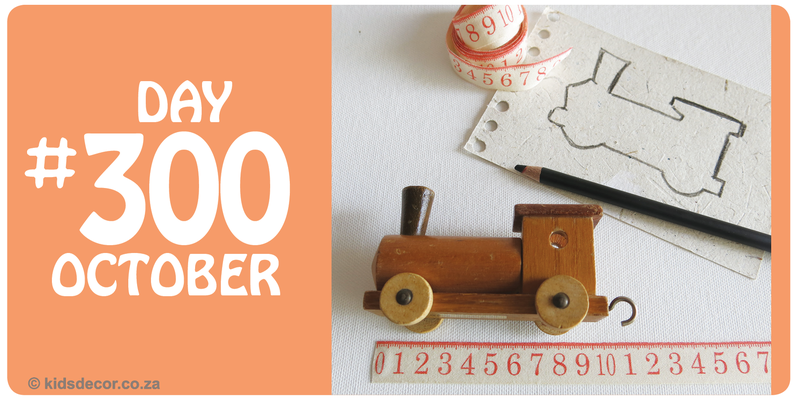 Measuring objects can be a lot of fun for kids. Grace the toys/objects first so that you can give a measurement for each side. This activity teaches a multitude of learning skills from coordination, to counting, to writing and spacial concepts. 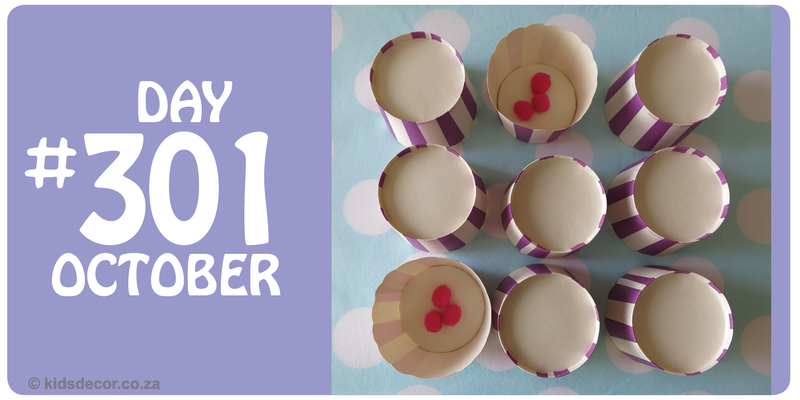 Simple bread dough is a perfect for teaching the alphabet and to spell out your children names – creative learning for kids and play the same time. 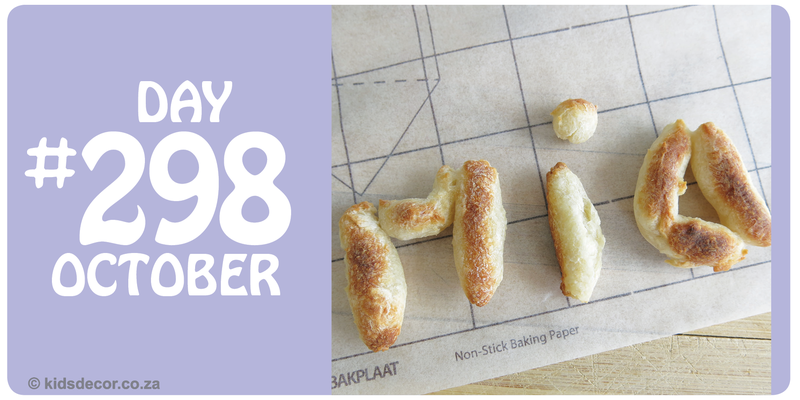 Use any bread dough mixture, bake and have fun eating your names too!